Bali is very beautiful, but in the beauty it has a very bad thing that is very heartbreaking. 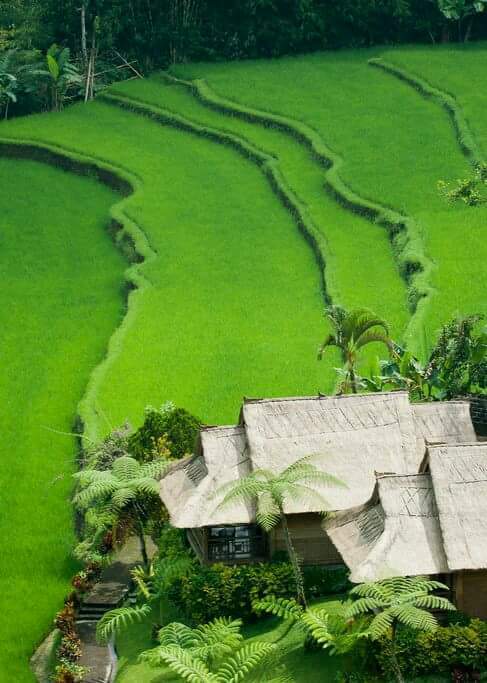 Bali is known for its terrifying and beautiful terraced rice fields. But did you know that there is something bad about Bali that is in the beauty. There are so many bad things about Bali. 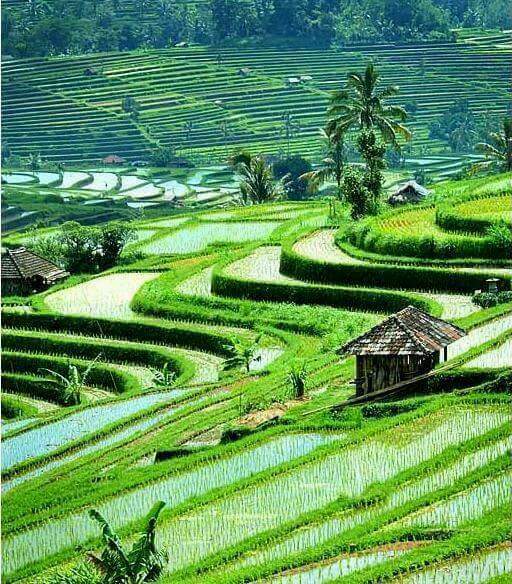 The beauty of terraced rice fields in Bali is largely determined by the active role of farmers. There will be no beautiful terraced rice fields if there are no farmers. Beautiful rice fields become a tourist attraction that continues to be enjoyed by the tourists. The benefits will be obtained by the hotels and managers of tourism accommodation nearby. Beautiful of Ubud, delightful of Kuta Beach, stunning of Nusa Dua, and many other beautiful places in Bali escorted from the sacrifices of traditional life and Balinese. Beautiful scenery of terraced rice fields in Ubud has a sad life from the owner of the rice field. The farmers who work every day in the beautiful rice fields do not get the appropriate from the sparkling hotels and cafes around the rice fields. 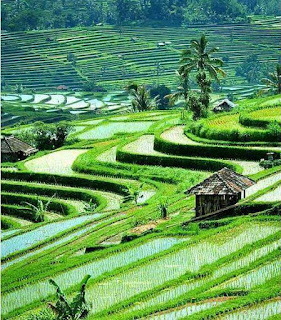 Farmers live in poverty, while working on their rice fields, viewed with pleasure by tourists sitting in a cafe overlooking the rice fields. But the bad thing is now felt by farmers. Along with the growing growth of tourism industry in Bali, resulting in more expensive land prices. Dampens on the higher taxes the farmer must pay annually to the state. However, agricultural commodities are not getting better, and even tend to decrease due to decreasing soil fertility. The peasants' economy is not improving along with the economic growth in Bali. The tourism sector has harmed the peasants. They are required to keep agricultural land for tourism purposes, but they are not rewarded and compensated by any party associated with the industry. When farmers want to sell their land, because of the inability to pay taxes every year. Bad things about Bali makes farmers have to find other economic resources. Becoming a trader is a job that is considered the easiest, although the competition is getting worse. Farmers sell rice fields and build new businesses with new hope. Not exhausting, but the exact income in a definite situation. Hotels and villas built next to rice fields do not provide a good impact for the farmers' economy. The hotel and the villa have a beautiful view of the terraced rice paddies that farmers make, but do not provide good for the life of the farmers. Many farmers became angry. They turned the rice fields into the most disgusting places by giving garbage and dirt, as a form of protest to anyone who enjoys the results of the peasants' hard work. Because the hotel and villa built next to the rice field is very disturbing irradiation from the sun for rice growth. This bad impact is felt by many farmers. Noise and noise from hotels and villas also disrupts farmers' activities. Many hotel guests do not hesitate to enter the rice fields and make contact to the farmers. Of course this kind of activity is very disturbing the comfort of the farmers when working. I do not know how long this will continue to happen. The losses and injustices that farmers continue to feel are incapable of tackling by the government. 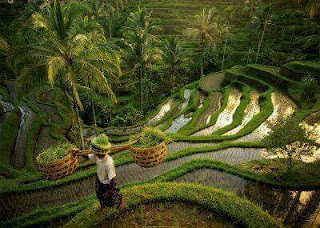 Though the government knows that without farmers then the tourism industry in Bali will be destroyed. 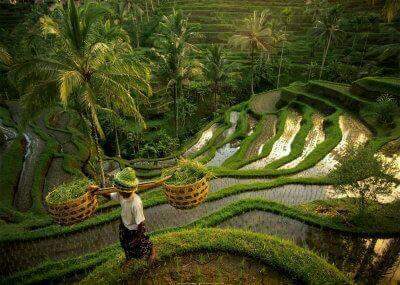 Because rice fields and subak is the key to the survival of citizens and tourism in Bali. Kuta Beach is increasingly crowded locals locals as street vendors among the magnificent restaurants flanked by malls and luxury hotels. Kuta becomes a place full of social imbalance between foreign tourists and poor local people.